The British Council Researcher Links Workshop, due to be held in Bangkok in March, has been rescheduled for May 19-22. It will be run jointly by Bournemouth University (BU) and Chulalongkorn University (CU). The official call for applications has just been posted by British Council and has a deadline of Monday, March 31. You can find it online here. The conference theme is “The impact of social media upon corporate and marketing communication in Thailand and UK: Developing collaborative research programmes with reference to young people and their relationships with Government and other major organisations”. It is a wide-ranging topic and thus can offer opportunities for research in social media, digital engagement, corporate and marketing communications, political communications and marketing, emerging consumer cultures, citizen journalism, comparative political and communication studies, CSR, and so on. Obviously, it would involve collaborative research by universities in both countries. The Workshop Programme is available and shows comprehensive opportunities to be guided on joint research opportunities . Dr Dan Jackson and Associate Professor John Oliver are BU’s two Senior Researchers who will be working with junior academics. Up to eight Early Career Researchers from UK universities can join the Bournemouth University group travelling to Bangkok. “Early Career Researcher” is broadly defined by British Council as being up to 10 years after receiving a PhD or equivalent degree. 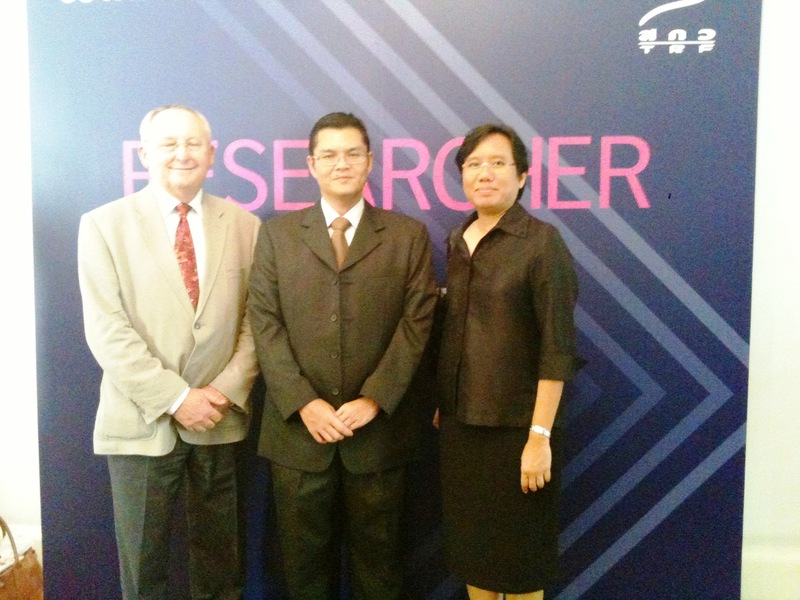 UK researchers fly to Bangkok on either May 16 or 17. The workshop will be held at the Nai Lert Park Hotel in central Bangkok from Monday, May 19 to Thursday, May 22. There are two evening social events. UK participants will return on the night of May 22 or the following day. The Media School at BU has built a very good relationship with its Thai partners, the Faculty of Communication Arts at Chulalongkorn University in central Bangkok. In November, a BU/Chula conference on corporate and marketing communication in Asia was held and attracted 30 speakers from 10 countries. All of us have found Thai colleagues great company and very willing to engage with on research.